The streets of London bear witness to the famous cultural figures, thinkers, campaigners and more who have lived and worked in the capital. Across the city, a series of coloured plaques bring to life the connections between specific sites and their notable inhabitants, along with the historical events and former buildings associated with a particular location. 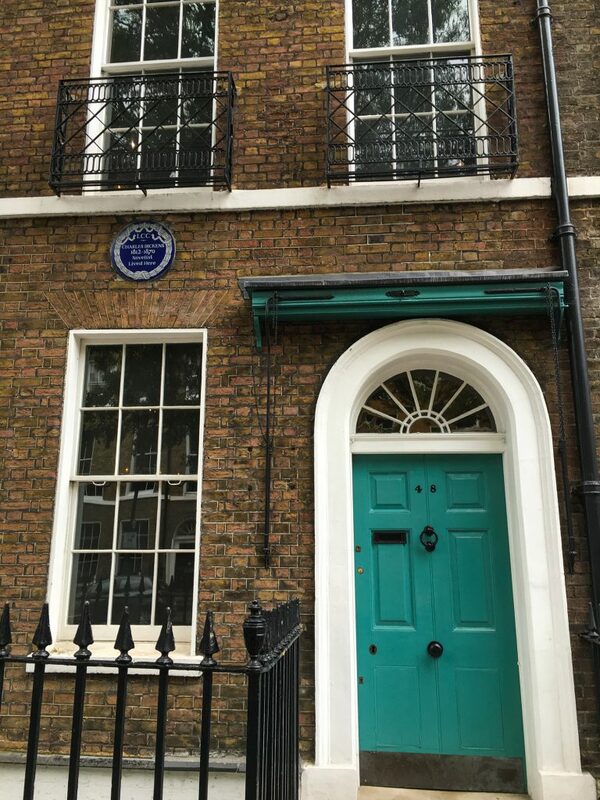 From English Heritage’s circular blue plaque scheme, and the square blue plaques of The City of London Corporation to the various commemorative schemes of London Boroughs, reminders of the capital’s history are all around us. 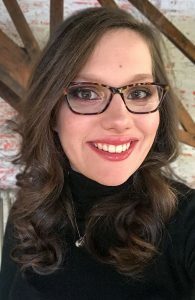 On this blog, I’ve previously featured locations from the capital’s literary world, from Sweeney Todd’s barber shop to the London of Dorian Gray and Our Mutual Friend. Here, discover the literary houses where some of London’s most influential writers lived. Nestled amongst the alleys off Fleet Street is Dr Samuel Johnson’s townhouse. Here, the leading 18th-century critic and writer compiled his masterpiece A Dictionary of the English Language, first published in 1755. The Dictionary took nine years to complete and contained 42,773 definitions – all written by Johnson himself. Today, Dr Johnson’s House is an independent museum. For a look inside Dr Johnson’s House, check out my blog post here. 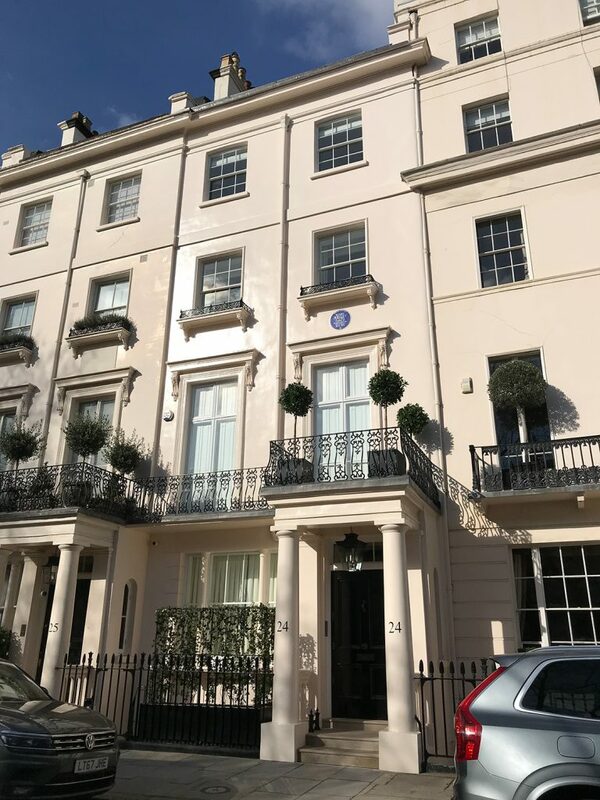 One of London’s greatest writers, Charles Dickens produced several of his much-loved works at this address, including Oliver Twist, The Pickwick Papers and Nicholas Nickleby. 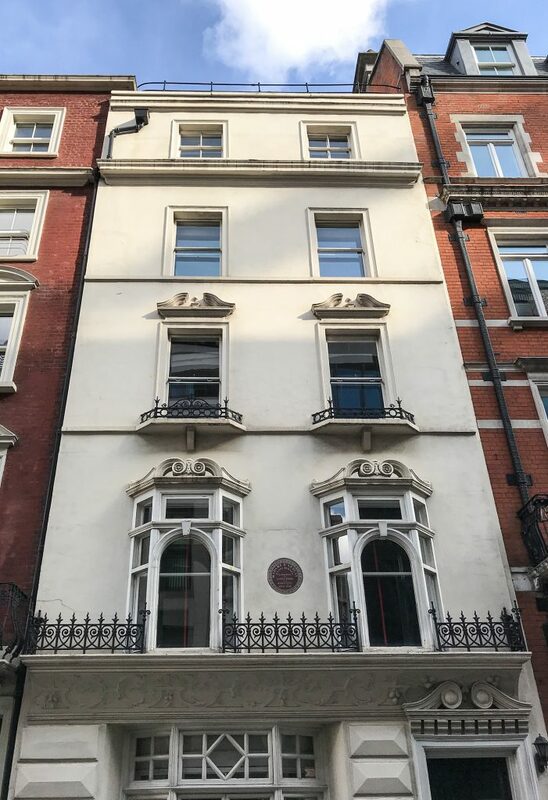 Despite living at Doughty Street for just two years (1837-9), this period of Dickens’s life was very fruitful, and saw the birth of two of his ten children. 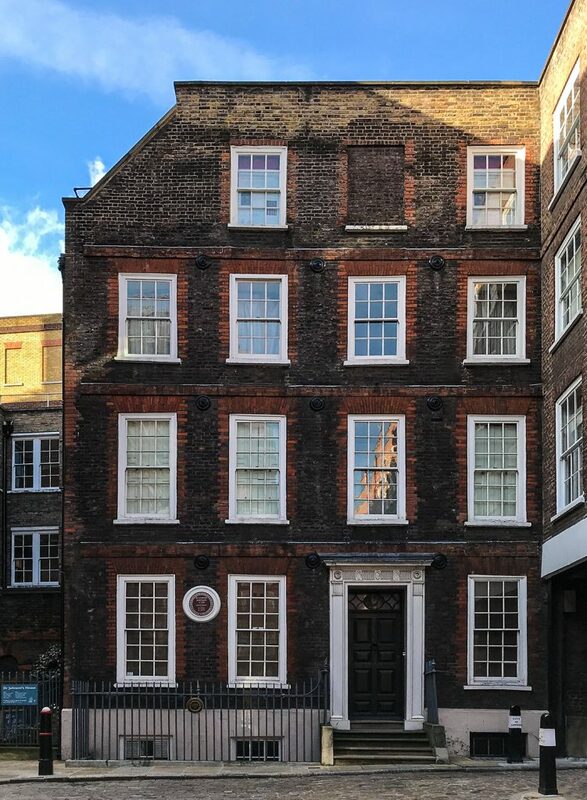 This house is now the Charles Dickens Museum, and still contains much of Dickens’s original furniture – even his writing desk! The former home of the acclaimed modernist writer, Virginia Woolf, this picturesque house is an oasis of calm amidst the hustle and bustle of London. 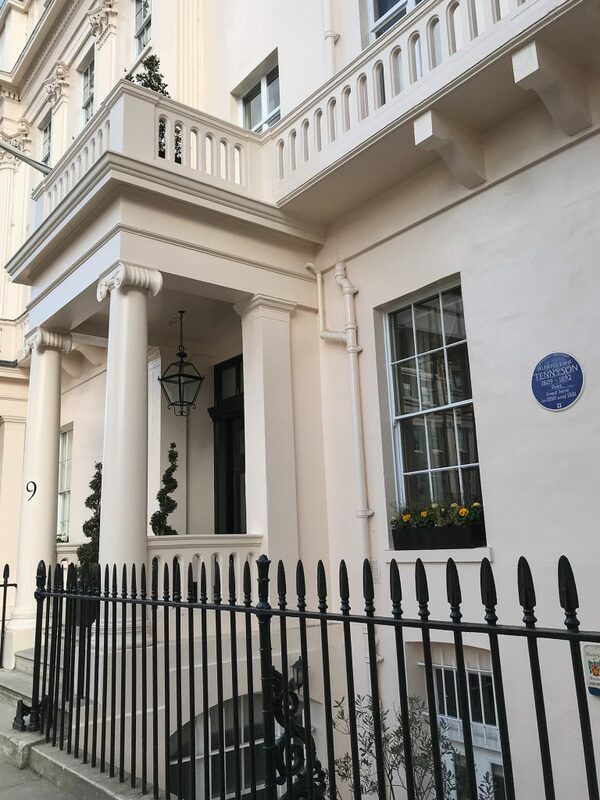 During her lifetime, Woolf was an influential member of the Bloomsbury Group, a circle of English writers, artists and intellectuals who lived and worked in London’s Bloomsbury area. Other members of the group included writer Lytton Strachey, art critic Roger Fry and Woolf’s sister, artist Vanessa Bell. Championed for her experimental and ‘stream of consciousness’ writing style, some of Woolf’s best-known works include Mrs Dalloway, an exploration of consciousness and class, and A Room of One’s Own, a rousing feminist essay. Regarded by Virginia Woolf as the ‘mother of English fiction’, Frances ‘Fanny’ Burney, was one of the 18th-century’s leading novelists. Her popular work Evelina, was first published anonymously, but its satirical critique of high society earned Burney wide acclaim. Her other works include the novels Cecilia and Camilla, along with several plays, journals and letters. 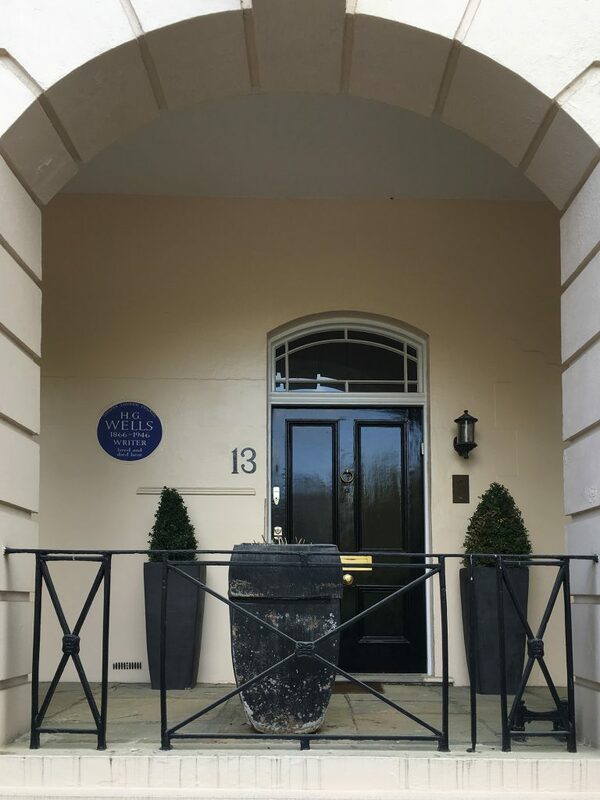 Following the death of her husband, the French exile Alexandre D’Arblay, Burney moved to 11 Bolton Street in 1818, where she remained until 1828. 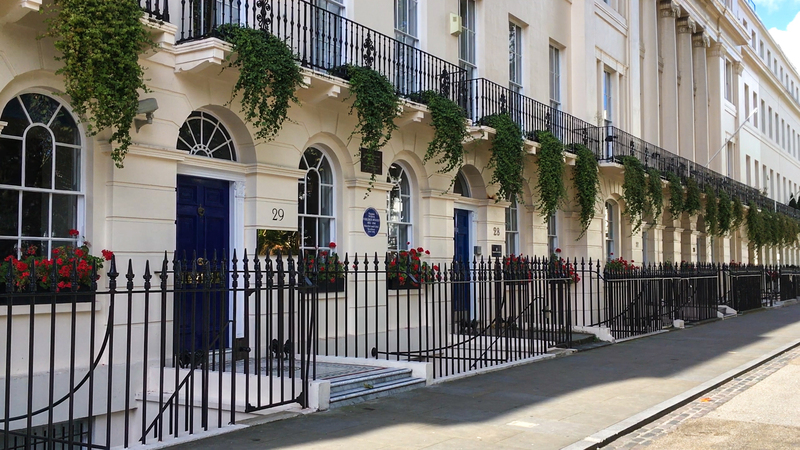 Overlooking the leafy vistas of Regent’s Park is 13 Hanover Terrace, the former home of author H.G. Wells. A prolific novelist during his lifetime, today H.G. Wells is remembered for his science fiction works, from his seminal masterpiece The Time Machine to his apocalyptic novel The War of the Worlds. Shelley is best-known as the author of the Gothic classic, Frankenstein, which she wrote when she was just 19. While 2018 marks the 200th anniversary of Frankenstein’s publication, Shelley also wrote other works, including The Fortunes of Perkin Warbeck (1830), a historical novel based on the eponymous pretender to the English throne, and Lodore (1835), which charts the lives of the fictional Lord Lodore’s wife and daughter. A 19th century celebrity, Alfred, Lord Tennyson was one of the era’s most celebrated writers. His masterpieces, In Memoriam A.H.H, a poetic tribute to the poet Arthur Henry Hallam, and his dramatic work The Charge of the Light Brigade captured the imagination of 19th century readers. Tennyson also remains the UK’s longest-serving Poet Laureate, holding the position for 42 years.